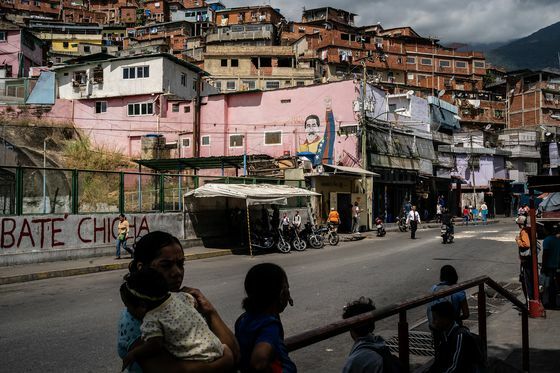 (Bloomberg) -- Facing mounting pressure to step down as Venezuela’s leader, President Nicolas Maduro has begun a ruthless crackdown, terrorizing poor neighborhoods with deadly nighttime raids and blocking rivals’ efforts to spread their message on social media. Inside Venezuela, the violence is hidden. The regime has drowned out forces seeking to topple it, using rolling internet blackouts and gag orders that have largely stopped the free flow of information. Though Maduro on Tuesday prevented the country’s self-proclaimed interim president, Juan Guaido, from leaving Venezuela, he has left him free to make pronouncements, speak with foreign leaders and hold daytime rallies like a massive march planned for Wednesday. Outside the international eye, the information blackouts and killings are a vigorous attempt to extinguish the biggest threat since he took office in 2013, beginning a career of mismanagement that left this once-wealthy nation sanctioned and starving. 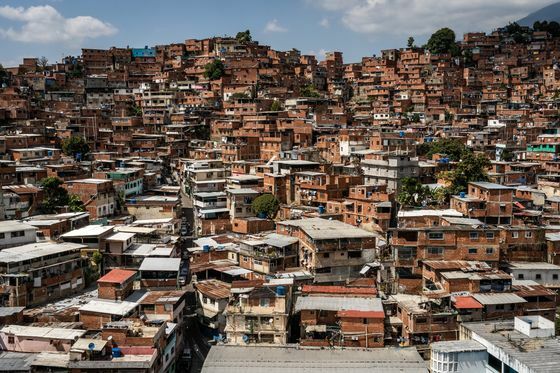 “Maduro won’t let go of power easily,” Jesus Gonzalez, a motorcycle taxi driver in the vast Petare slum, said Tuesday. “He doesn’t mind pumping anyone who protests against him full of lead." “Since Jan. 22, every day they get into the slum,” said Leida, who works as a house cleaner. She said they break into houses in search of their quarry and smash whatever is in their path. “They enter armed, and we have even heard grenades. They cover their faces. They have killed six people." A young man who also lives in Jose Felix Ribas, who requested anonymity to ensure his safety, said he saw a man’s body on the street as he was walking home Friday. Officers, he said, stopped everyone who walked by. Rafael Uzcategui, director of Provea, said in an interview that his group has verified eight people killed by police in their homes. The relatives of the dead, says Provea, are pressured not to mention FAES, part of a broad effort to suppress all mention of Maduro’s domestic campaign of reaction and the words and actions of his opponent. 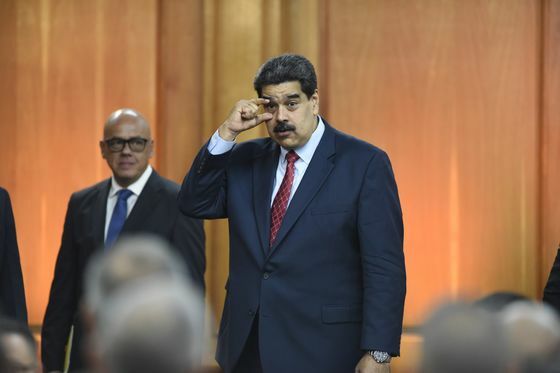 On Sunday, as Guaido addressed the nation, access to Twitter’s live-streaming video app Periscope was blocked for the 12 minutes of his speech. Last week, as Guaido called for anti-Maduro street protests, social media platforms including Facebook and YouTube were largely knocked offline by the state communications provider CANTV, according to internet watchdog group NetBlocks. The internet is crucial to Guaido’s ability to rally his supporters because the Maduro regime controls almost all the television and radio stations. Cesar Miguel Rondon, one of the country’s best known radio-news anchors, said he would go off the air this week due to restrictions by Venezuela’s telecom regulator Conatel. While his station, Union Radio, declined to comment on instructions it has received from Conatel, the regulator has warned journalists at private radio stations not to mention Guaido, discuss the number of people killed or talk about any matter that could cause “uneasiness,” according to three people with direct information about the situation. The government, which has long clashed with private media outlets, has increased its effort to suppress news since the rise of Guaido, whose claim to the presidency has the backing of the U.S., Canada, the U.K. and most Latin American countries. Following a 2002 overthrow attempt that led to the brief ouster of Maduro’s mentor, the late Hugo Chavez, dozens of radio stations and a handful of cable channels were closed as Chavez largely blamed the outlets for the botched coup. In the Jose Felix Ribas slum, the message of enforced silence has been received. A week after the attack, the black-clad men had left, but the chaotic and vibrant street life was subdued. On Tuesday, passers-by walked quietly, looking suspiciously at visitors. Doors closed on their approach.